Service Yandex has existed since 1997 year and is designed to search for the information you need on the Internet. Yandex search services used by millions of people daily, therefore, this search engine is listed among the ten most popular of such systems in the world. This search service provides a tremendous opportunity to its users, allowing you to quickly and efficiently find all the necessary information. In order to reduce the search time, in the system Yandex is possible to store all your browsing history. With this feature, the process of working with the service much faster. But the system is not always true improvement, especially if other people use your computer besides you. therefore, so no one can see the history of your pages or downloads, it must be removed from the system. This is done not difficult, and below we look at stages, how to delete history in Yandex. Create an account and log in. To do this, click on the phrase "Log in e-mail", which is located at the top right corner, enter the requested data. Now, after confirming your login and password, you need to go to the "Personal Preferences" from the View menu to select "Other Settings". This will bring up a list of possible settings, among which to choose "Search Tips". There are two ways to delete history from the system. The use of each of them depends on, Do you want to delete a single page or a list of pages viewed, or delete all history for a specific period. in the left part from the list, choose the page you want to delete and put a tick next to them; in conclusion, click on the button labeled "Remove selected items", located on top of a list of pages. in the end click on "Clear history". then click on the "Clear history"query. Besides, in the new version of the browser Yandex is possible to disable the save history. To do this, you just need the same settings, uncheck "My queries in search suggestions". 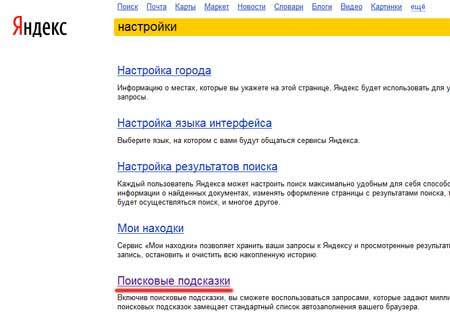 After reading the article, Now you know, how to delete history in Yandex. Now, in case of need, you can easily clean up your browser from unnecessary information, following the above instructions. But, removing passwords stored in the browser, Be careful and make sure, that you saved them somewhere else.